Legacy Award Recipient – Martin, Dr. Charles « Perry High School Alumni Association, Inc.
Perry Alumni is pleased to announce the Legacy Award will be presented to the family of the late Dr. Charles E. Martin. He graduated from Stillwater High School (1941), and from Oklahoma A&M College (1946), and completed his M.D. at OU (1948). 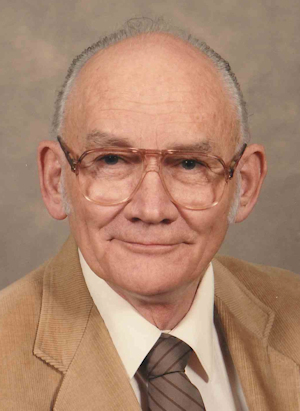 He was committed to the education of Perry youth and was a member of the Perry Public Schools board of education 1959-74, serving two terms as president. He advocated for construction of the current Perry High School building. Dr. Martin was an active supporter of Perry Carnegie Library, serving on the board 1992-2002. Dr. Martin was a devoted physician whose interest in treating illness and promoting good health lasted through his long career and retirement. He practiced in Perry from 1952 until his retirement in 2001. He was especially devoted to his obstetrical patients and enjoyed taking care of moms and babies. He delivered about 2,000 babies. While serving his medical internship in 1948-49 at the University of Wisconsin, he met his future wife, Marjorie Billmeier. Soon after the Korean War began in 1950, Dr. Martin re-enlisted in the Army and became a battalion surgeon. He served in Korea for 10 months, treating wounded soldiers near the front lines and received the Bronze Star for “meritorious achievement in ground operations against the enemy in Korea.” After his Army service, he and Marjorie decided to move back to Oklahoma and chose Perry to begin his family practice. He was active in the Boy Scouts of America as a boy and as an adult. In 1937, he attended the first Boy Scout Jamboree, held in Washington, D.C. From 1953 – 2000, Dr. Martin was active on the adult level. In 1963, he was the recipient of the Silver Beaver award, the top award given by the Will Rogers Council of the Boy Scouts. Dr. Martin participated in many facets of community life that included: Perry Chamber of Commerce board of directors, Outstanding Citizen of the Year, Noble County Board of Health, Noble County Genealogy Society, Cherokee Strip Historical Society, American Legion Ellis-Jirous Post 53, Stagecoach Community Theatre, board director of First Bank and Trust 1959-89 and in 2007, he and his wife were parade marshals at the Cherokee Strip parade. After he retired, he could be found most days reading newspapers at the library, as well as talking with friends and checking out books. In 2010, the Perry Carnegie Library Reading Garden was dedicated to Charles and Marjorie. He is survived by his wife Marjorie and their four children: Mary Ann (Gordon) Matzke, Kay (Tom) McCarthy, David (Julia Karlak) Martin and Ken (Mary) Martin.